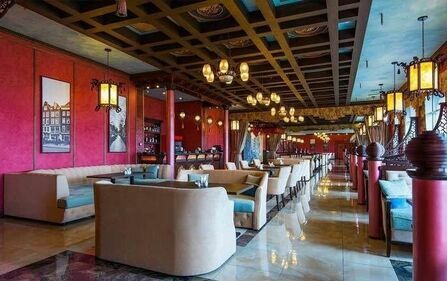 Hookah bars в Lida – адреса и телефоны, карта проезда. Review We recommend to visit jazz evenings on Thursdays (at 20-00). Professional musicians, excellent repertoire, very pleased with the female vocals! Come, you will not regret. Rest very much. Review We watched on the terrace today the opening of the World Cup 20018 and the match, good service and delicious snacks. Everything was great! Review It's great that you are near the road) we were driving in the late night hours, it was a heavy frost outside and we freeze to death) We stopped near the cafe, maked sure that it works, bought a coffee to go. It was tasty, thank you, we got warm) As well as the staff served us in cozy hospitable atmosphere) We wish you more guests in your hospitable cafe "Berloga"! Review Got on the recommendation. We were a company of 6 people. Long defined with a table, the view is beautiful from all sides. Thank you so much for the kitchen. Borscht really cooked at home, very worthy !!!! Pancakes, pots, too tasty. Dessert tried chocolate, very sweet. Served Anna, attentive and prompt with a choice. And tea mix berry here. Review It was just amazing! Delicious pilaf, beer, sweets and of course tea. The staff is just great. The atmosphere is cozy and everything is thought out to the smallest detail. Be sure to come here again and again. Review We stopped at the first accidentally eat and smoke hookah. The place offered a comfortable, what they wanted. The staff at the proper level, just great. Friendly, attentive, and not intrusive. Hookah, just super .. with taste straight to the point, thanks Cyril! Very responsive young man, helped us not experienced). Now one of the favorite places, because you can eat tasty food in many places, and not really have a rest anywhere! Thank! Review Good day! A place where you really want to come back again and again Service, staff and food at the highest level. I would like to write separately about the excellent taste of tea and its aroma. I would also like to acknowledge and thank the hookah master. Hookah really was very good. Briefly, but in the case. Will definitely visit you again! Thank you for your hospitality! Review Were March 22, 18 To say that in delight is to say nothing. Everything was top notch. I would like to express special thanks to our leading company Evgenia and Nikita from all of our company. Two great singing people who supported us throughout the evening. Were also pleasantly surprised by the clear sound. I would like to mention the waiters. Great clever. 10 out of 10.
Review Visited the cafe "Deja Vu" and were very unhappy with the kitchen. Not tasty, and as for meat and fish dishes, the meat and fish should still be searched. Prices are not small, as in the center, but the quality suffers. The service is good, the waiters and the receptionist are pleasant. The setting itself is gloomy. Cafe is "to say the least" in a very inconspicuous place. Would not recommend. Review The best hookah in Minsk! Review Great cafe! Yesterday went to the pizza. Pizza is very tasty and juicy. Pleasant service and cozy place. Review Very beautiful interior, excellent service, the kitchen at the height. Great place for a romantic dinner. Favorite institution. Review Good day. I was lucky to visit this place. Great and cozy place. Timely service, staff polite and attentive. Recommend. Separately, I would like to thank Tatyana. I would also like to mention the girl Mila, your dance was stunning, the emotions are the brightest. Stay the same fun, sweet and positive, whatever happens. You are the most vivid impression this evening. Review Good establishment, excellent cuisine, great waiters and waitresses. I liked everything, it's a pity that there are only a few people, apparently due to the lack of advertising as such.